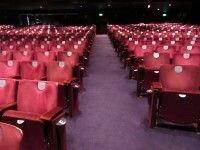 Birmingham Hippodrome averages over 500,000 visits annually making it the most popular single auditorium in the UK. 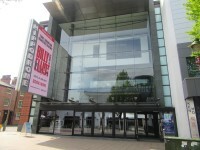 It is home to Birmingham Royal Ballet and DanceXchange, presents all of Welsh National Opera's repertoire, welcomes the best in international dance, West End and Broadway musicals and is home to the world's biggest Pantomime. The nearest National Rail station is Birmingham New Street. The name of the car park is The Arcadian. 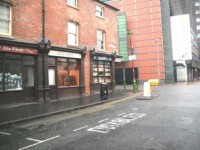 The car park is located in Bromsgrove Street. 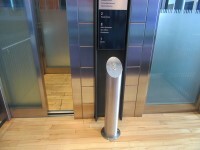 The dimensions of the marked Blue Badge bays are 275cm x 540cm (9ft x 17ft 9in). 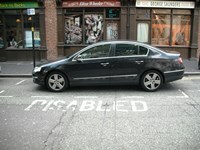 On street Blue Badge parking is located in Hurst Street. 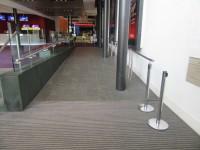 Wheelchair users and patrons with impaired mobility may prefer to use Thorp Street car park, which is directly opposite the stage door and provides the easiest access to the theatre. This information is for the entrance located on Hurst Street. There are four sets of doors. 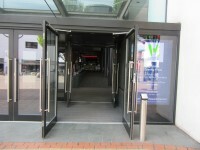 The doors on the right as you face the entrance are the automatic set. 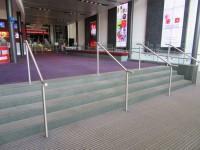 The ramp/slope is located beyond the entrance to the right. 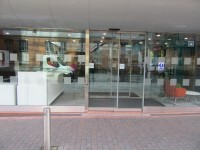 You are on Outside Access (Thorp Street Entrance). Skip to the next section. 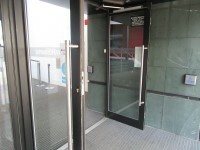 The width of the door opening is 153cm (5ft). The type of system is infrared. 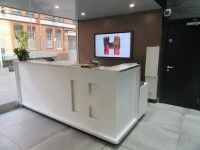 You are on Reception (Thorp Street). Skip to the next section. 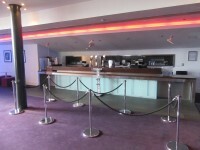 The desk/counter is 2m (2yd 7in) from the Thorp Street entrance. Music is played depending on the performance. 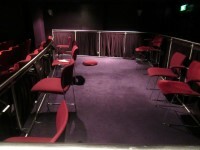 You are on Other Floors (Main Hippodrome Theatre). Skip to the next section. 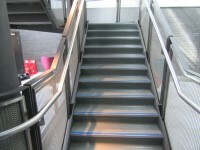 The floors which are accessible by stairs are 1-E-2-3-4. 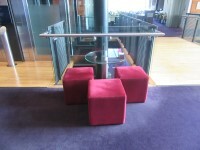 The 'E' floor stands for entrance foyer. 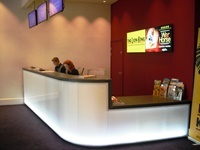 You are on Lift (Main Hippodrome Theatre). Skip to the next section. 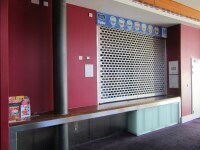 The lift is located on the right past the box office reception. 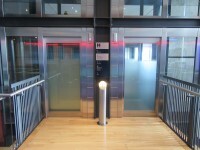 The floors which are accessible by this lift are 1-E-2-3-4. 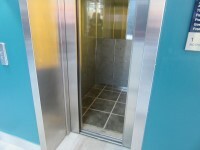 The dimensions of the lift are 173cm x 124cm (5ft 8in x 4ft 1in). 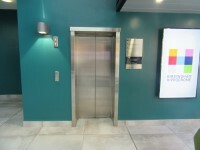 There are two lifts available which are adjacent to each other. You are on Other Floors (Thop Street). Skip to the next section. 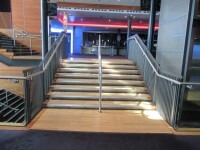 The floors which are accessible by stairs are 2-3-5. You are on Lift (Thorp Street). Skip to the next section. 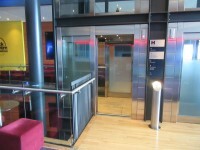 The lift is located opposite the Thorp Street reception desk. 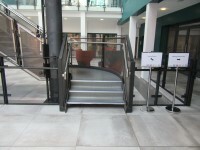 The floors which are accessible by this lift are 2-3-5. 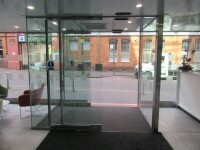 The lift is approximately 2m (2yd 7in) from the Thorp Street entrance. 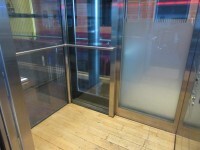 The dimensions of the lift are 140cm x 126cm (4ft 7in x 4ft 2in). 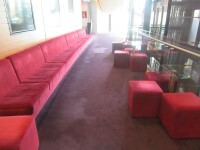 Designated seating is located in the front and rear of the theatre. 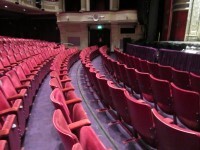 To view thehttps://www.birminghamhippodrome.com website for more information on accessible seating please click here (new tab). 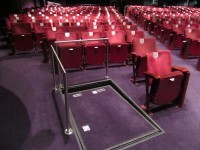 The photographs show the front and rear stall wheelchair areas respectively. You are on Eating and Drinking (Coffee Cart). Skip to the next section. 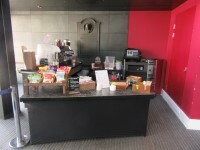 The cafe is located to the left after you enter via the main entrance. 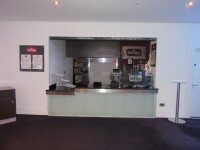 You are on Eating and Drinking (Front Circle Deli Bar - Level 2). Skip to the next section. 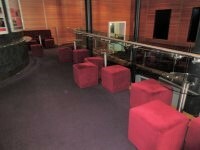 The cafe/bar is located on level 2. 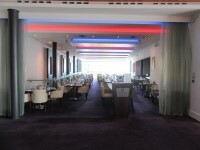 You are on Eating and Drinking (Front Circle Bar & Kiosk - Level 2). Skip to the next section. 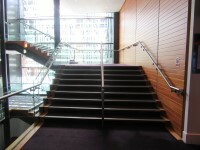 The bar is located on level 2. 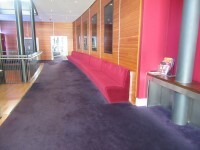 The nearest table is approximately 1m (3ft 3in) from the lift. 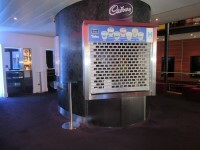 You are on Eating and Drinking (Middle Circle Bar & Kiosk - Level 3). Skip to the next section. 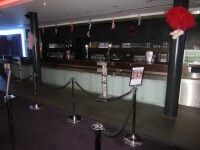 The bar is located on level 3. 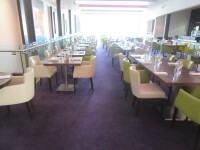 The nearest table is approximately 2m (2yd 7in) from the lift. 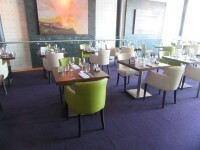 You are on Eating and Drinking (Circle Restaurant - Level 3). Skip to the next section. 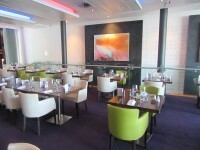 The restaurant is located on level 3. The nearest table is approximately 9m (9yd 2ft) from the lift. 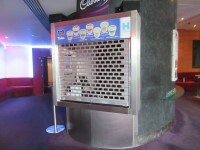 You are on Eating and Drinking (Upper Circle Kiosk - Level 4). Skip to the next section. 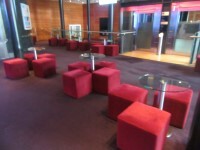 The cafe is located on level 4. 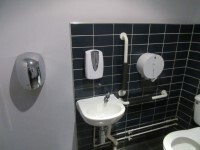 This accessible toilet is located on the right of the level 2 Deli Bar. 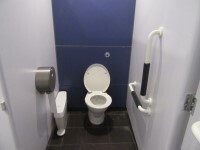 The dimensions of the accessible toilet are 188cm x 198cm (6ft 2in x 6ft 6in). 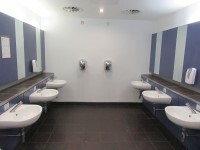 Additional accessible toilet facilities are available on levels 1-3-4. 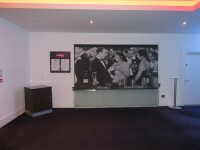 The female and male toilet facilities that were surveyed are located on the right of the level 2 Deli Bar. The female and male toilets are approximately 49m (53yd 1ft) from the main entrance. Baby change facilities are located opposite the accessible toilet. 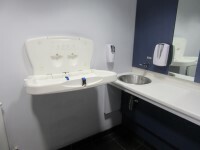 The height of the baby change table once extended is 115cm (3ft 9in). 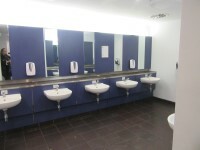 Additional Standard toilet facilities are available on levels 1-3-4.